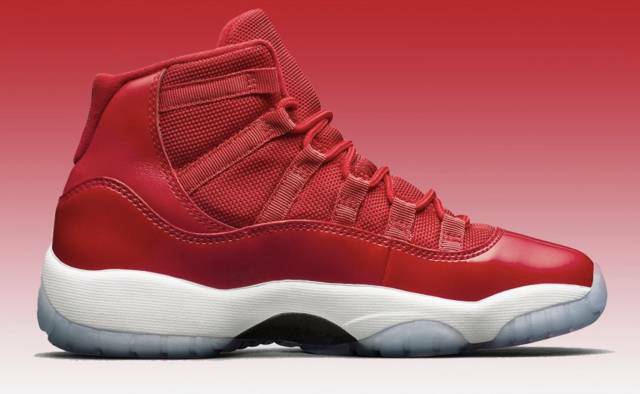 Continuing the “Win Like Mike” story is the “Win Like ’96” color concept that places the daring Bulls red color scheme front and center. 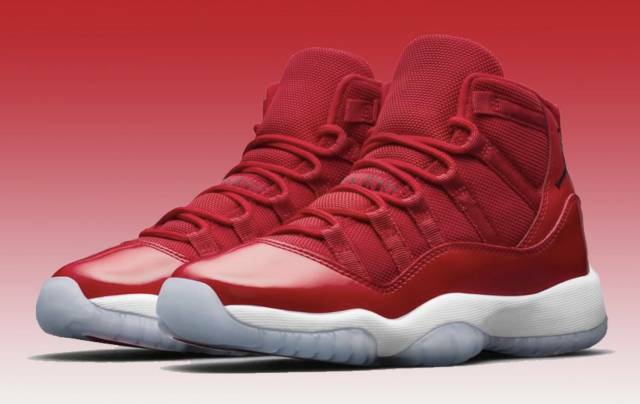 Thanks to Jordan’s pure dominance of the NBA in the 1990s, the Chicago-esque composition of red, black, and white has become synonymous with excellence – and it’s no different with this upcoming Air Jordan 11 release. The upper grabs a bold tonal red color-blocking with black Jumpman logos and the stylish translucent “icy” sole adding even more attractive features to this must-have release. 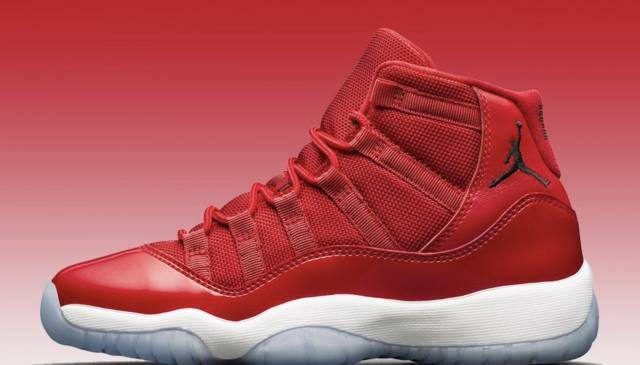 We offer our Authenticity Guarantee on all purchases and verify every sneaker sold.